ambiguity of the notion East-West predetermine different discourses of the discussion in the spaces of rational-irrational, tradition-nontradition, enlightenment and barbarism. It can be explained by the fact that the East-West dichotomy is integrated in the universe, the microspace and macrospace. Bakhtin, M. M. (1994). K pererabotke knigi o Dostoevskom II [On a revision of the book on Dostoevsky II]. Dialog. Karnaval. Khronotop, 1. Berdyaev, N. (1991). Samopoznaie [Self-knowledge]. Moscow: Kniga. Dobrokhotov, A. L. (Ed.). (1991). Razgovor na proselochnoi doroge: sbornik [The conversation on a country road: collection]. Moscow: Vyssh. shk. Eisenstein, S. M. (1988). Chet-nechet. Razdvoenie edinogo [Odd or even. Dichotomy of the Whole ]. Vostok-Zapad, Issledovanija. Perevody. Publikatsii. Moscow: Nauka, Chief editorial board of Eastern Literature. Freidenberg, O. M. (1936). Poetika syuzheta i zhanra: Period antichnoi literatury [Poetics of plot and genre: the period of Antique literature]. Leningrad. Grigorieva, T. P. (1992). Dao i Logos (vstrecha kultur) [Dao and Logos (meeting of cultures)]. Moscow: Nauka. ZHELEZNYAK, Olga. East-West Dichotomy: gaps, interaction, intercrossing. 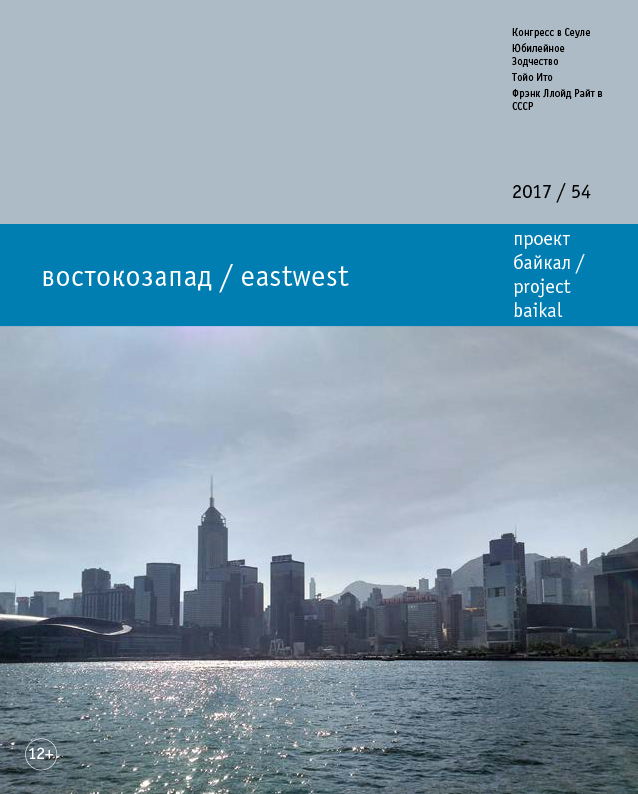 project baikal, Russian Federation, n. 54, p. 54-65, dec. 2017. ISSN 2309-3072. Available at: <http://www.projectbaikal.com/index.php/pb/article/view/1250>. Date accessed: 18 apr. 2019. doi: https://doi.org/10.7480/projectbaikal.54.1250.